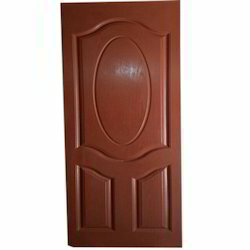 We have been counted amongst the most trusted names in this domain, engaged in providing FRP Composite Door. Because of their function, size and location, doors often become a visual focal point and an extension of your lifestyle. Artex composite doors are available in a wide variety of styles, premium finishes (natural and plain), shades and dimensions. We offer uniform thickness without undulation, warping or bending and a smooth surface for laminations. It offers dimensional accuracy and stability in varying humidity and has a high screw holding capacity, high shock and buckling resistance. 100 % Termite and Borer Proof, Moisture Proof, Fire retardant and most importantly a Eco-Friedly product. We are successfully ranked amongst the topnotch entity offering a wide range of GRP Composite Doors. - Strong , Rigid & Tough. - Lighter & Easy to handle. - Free of warpage. Water repellent & Weather proof. - Termite resistant. Non corrosive & Eliminates the need of Periodical Maintenance. We are offering a wide array of Composite Aluminium Panel Door that is available in various patterns to meet the specific demand of clients. These products are manufacturing using the latest technology. As per the needs and requirements of our clients, we are involved in providing Aluminium Composite Door.